Want to be one of the 6 lucky winners? if so, Then enter into the Myhighplains Santa’s Workshop Sweepstakes Contest and you could win battery, Gift cards, Freshwater Pearl Necklace, Shooting Package or Bettinardi Golf Putter. 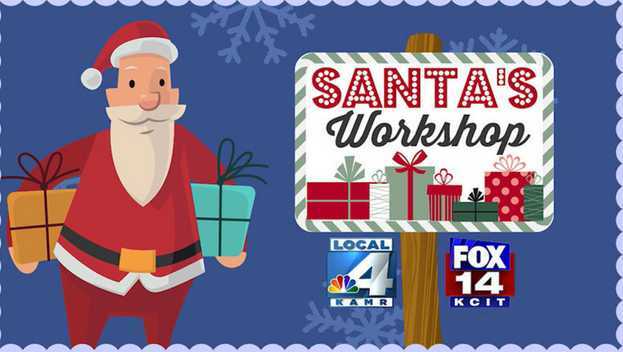 How To Enter: Go to this link:Myhighplains.com/santas-workshop-2018 during the sweepstakes period and follow the online instructions to register by entering all information requested on the registration form and once you filled out the entry form now Click on the submit button to complete the registration form. Prize(s): Six Winners: Winner #1 One (1) Traxxas Rustler Ready to Run car 3000 mAh (mili-amp) battery DC battery charger, Transmitter batteries Optional AC adapter for the Car battery charger; Winner #2: Accent Embroidery $200 Gift Card; Winner #3: One (1) $200.00 Gift Card redeemable at Beef O Brady’s; Winner #4: One (1) 10-11mm Freshwater Pearl Necklace 18 inches long w/sterling silver clasp. ; Winner #5: One (1) Shooting Package which includes a range bag with a multi fit holster, a cleaning kit, glasses, ear protection, and one (1) shooting card redeemable for ADD. Winner #6: One (1) Bettinardi Golf Putter courtesy of Golf Headquarters. Who Can Enter: Open to permanent residents of the U.S residents who reside within KAMR/KCIT/KCPN viewing area and who have reached the age of 18 years old at the time of entry. When To Enter: This sweepstakes entry begins at 12:00pm CST on December 01, 2018, and all entries must be received by 12:00pm CST. local time on December 21, 2018. Who’s Sponsor: The Sponsor of this Sweepstakes is KAMR/KCIT/KCPN, 1015 S. Fillmore, Amarillo TX 79101, Goodin’s Jewelry, TX 79106, and Accent Embroidery.